Padex 100 MP - low-linting premium oil-only absorbent pads preferentially absorb oil, whilst repelling water. Theywill remove oil from water and are used in internal and external situations, where oil needs to be absorbed without saturating the absorbent with water. Padex 100 MP have a polypropylene core with a fine fiber layer on both sides. 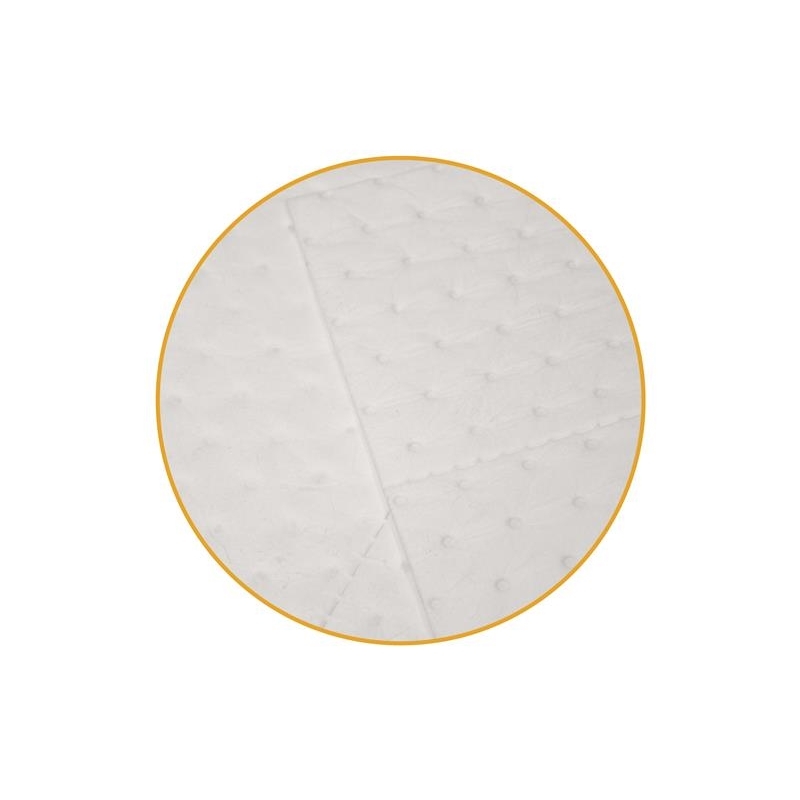 This procedure makes the pads extremely low-linting and improves the absorption ability (wicking) and strength of the material. Their perforation makes them easily adjustable for all kinds of applications. 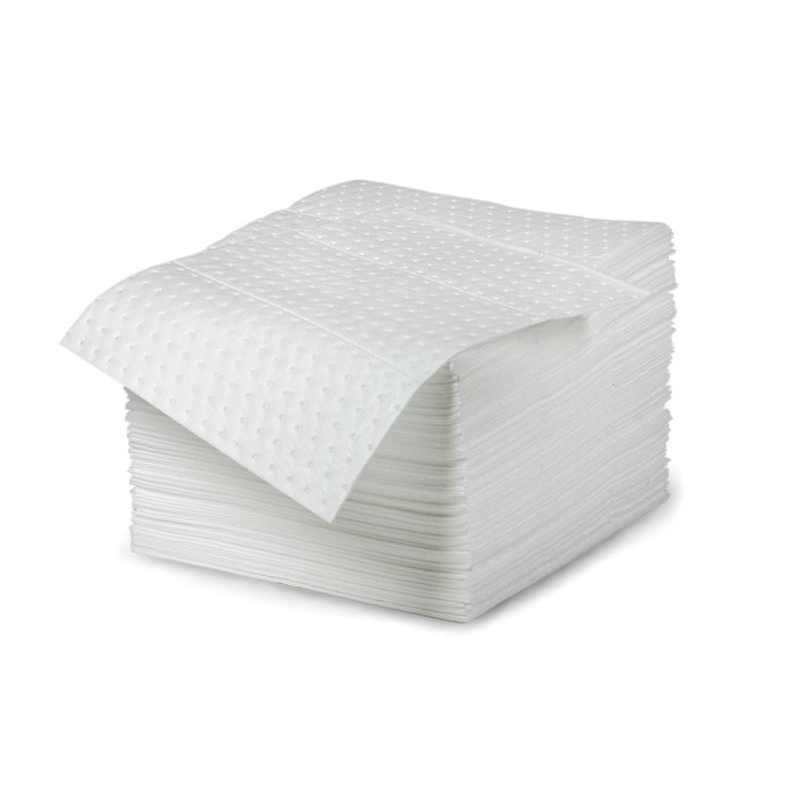 Padex 100 MP - low-linting premium oil-only absorbent pads are ideal for use in factories, on lakes, rivers, harbours or at sea and will remain afloat even when saturated with oil. 100% meltblown polypropylene covered with a fine fiber layer on both sides; won't rip, tear or fray even when saturated. Will absorb up to 25 times its own weight. Dimple pattern speeds wicking of liquid throughout the material for faster, easier cleanup. Perforated material is easy to tear to size so you only use what you need.